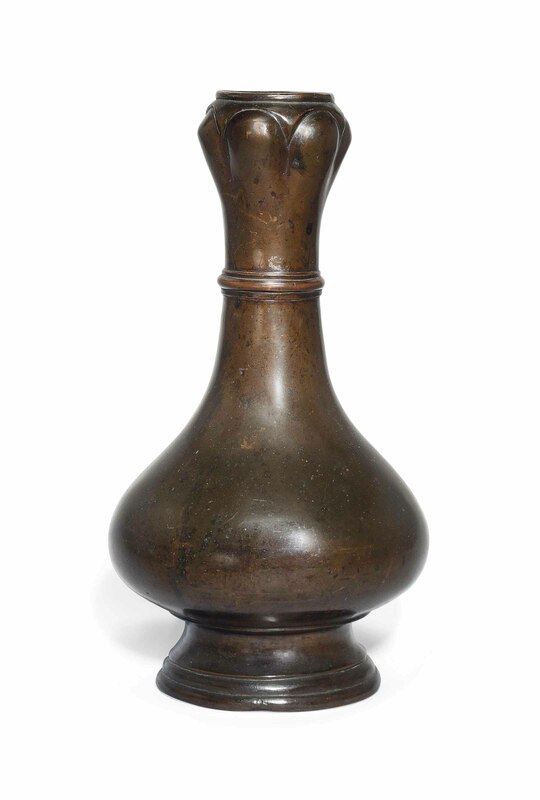 The vase is raised on a circular base with bulbous body and tall neck with a raised band to the centre. The base is cast with a four-character seal mark 'Jiacang Zhenbao', that may be translated as 'Treasure inherited by the family'. Acquired in France in 1994.